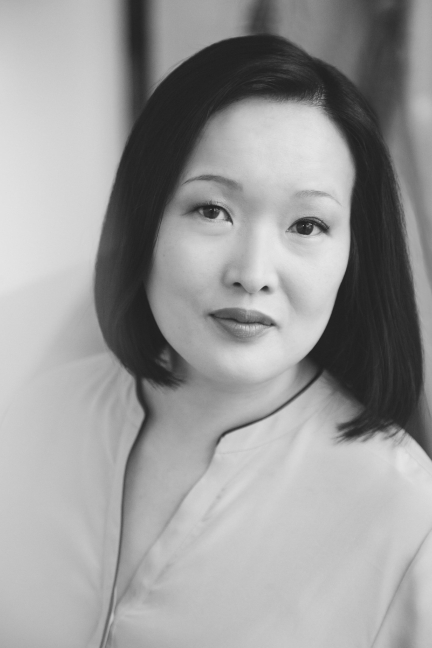 Midwestern Gothic staffer Megan Valley talked with author Jung Yun about her novel Shelter, the jarring act of immigration, her novel’s tangled generational and cultural differences, and more. Jung Yun: My family and I immigrated to the U.S. in the seventies, so I spent my childhood in North Dakota (ages 4-18) and still return regularly to visit. The connection is more than just childhood memories, trips to see family, or marrying a fellow Midwesterner though. Growing up in North Dakota instilled a deep fondness and appreciation for certain qualities in people — kindness, humility, perseverance — which is not to say these qualities are exclusive to the Midwest, but I think there’s certainly a Midwestern brand of them that I recognize and am genuinely happy to see in others. MV: While you now live in Baltimore, you were born in South Korea and grew up in North Dakota and lived in places like New York City and New England. What has each place taught you about writing? JY: Living in lots of places over time has given me so many different types of people to observe. And that’s so much of the hard work of writing — the work I happen to enjoy most, which is trying to create characters who live and breathe as real people do. Every move has provided a lot of raw “data” that makes me think about how people can be so similar and different, complex and simple, human and inhumane. 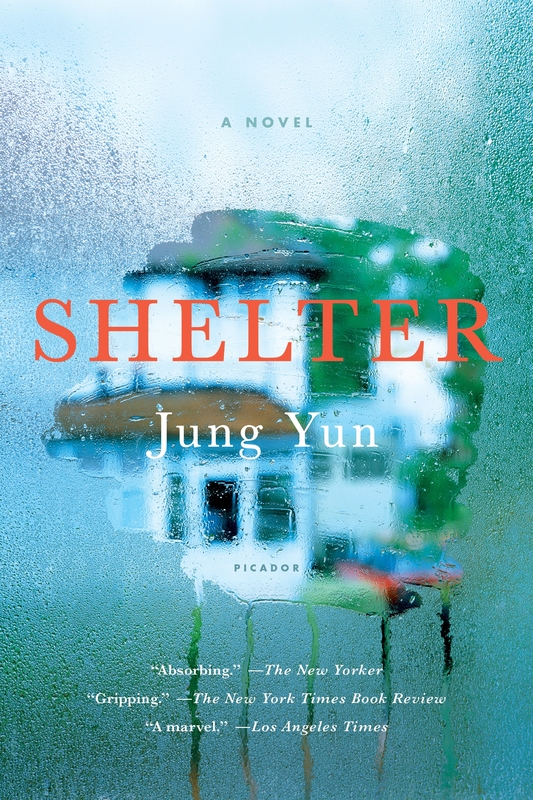 MV: Your first novel, Shelter, follows Kyung, a first-generation Korean immigrant, who alienates himself from his wife and son while trying to come to terms with the physical and emotional abuse his parents inflicted on him. Where did the title come from and how does it tie to the theme of imperfect parenting that runs throughout? JY: My manuscript had at least three other titles before Shelter, and none of them felt quite right, which my editor at Picador picked up on right away. (When I first spoke to her on the phone — this was before she bought the rights to the manuscript — she asked if I’d be willing to consider changing it, which I was). Shelter was the result of brainstorming with her and my agent over three agonizing weeks — agonizing because it was so odd not knowing what to call the manuscript I’d been working on for 3+ years. We came up with several terrible possibilities before arriving at Shelter, which instantly clicked given its connotations of safety, something that Kyung never had in his home as a child and is desperately trying to create in his adult life, ill-equipped as he is. MV: You’ve said in a previous interview that while growing up in North Dakota, your family was the only non-white one for “miles.” How did that influence how you viewed your Korean heritage as a child and adolescent? JY: I was certainly aware that my family and I were different. And of course, there was that awkward adolescent period when I tried to tamp those differences down (think blue eye shadow kits and large-barreled curling irons). I was reasonably quick to recognize how futile those efforts were and my parents were great about letting me figure out how to be different and proud in my own way and on my own timeline. Nowadays, I look back and just have to shake my head when I see some of my old school pictures, with my hair so permed that I looked like a broccoli crown. I wish I could tell my younger self that being Korean-American will one day feel like an absolute gift that grounds my identity in real and meaningful ways. MV: You began working on Shelter more than ten years ago. What’s the biggest difference between your first thoughts about the premise and the final book? JY: The original premise — about taking care of one’s elderly parents — is still present in the final novel. But I knew early on that I wanted the conflict to be more complex than simply familial, intergenerational obligation alone. By introducing a history of violence, a violent crime, financial exigency, as well as characters who withhold so much from each other, I tried to make readers put themselves in the main character’s shoes and really question: if this is the information they had at their disposal, what would they do? What would they feel like they “owed”? Kyung is not a likeable character — I knew that early on too — but I hope readers are able to empathize with him and understand why he behaves as he does. MV: How do the generational and cultural differences between Kyung and his parents in Shelter influence each other? Can they be separated or are they so intertwined that they might as well be the same thing? JY: I think the strands are very intertwined, and in some cases, inextricably tangled. For example, Kyung’s father, Jin, has a very traditional view of a man’s role, which is to work and provide for his family. This could describe someone of his generation whether they were born in the United States or Korea. But Jin’s ability to fulfill this role with dignity was greatly affected when he left Korea for the United States. And then there’s Kyung, a “1.5 generation” immigrant, who came to the U.S. at a young age and more or less assimilated, but is still deeply influenced by his parents’ ideas of what men should do, what sons should do, how families should behave, why wealth and status matter so much, etc. MV: What sort of writers inspire you? JY: I’m a fan of writers like J.M. Coetzee, whose work has continued to feel urgent and vital over many decades, as well as interesting to me across topics, books, and genres. I admire that kind of creative longevity and evolution, the sense that he’s still exploring through his writing and unwilling to be fixed to any one thing. I’m also inspired by new authors whose debuts just knocked me out, people like Mia Alvar, Clay Byars, Nami Mun, and Jade Chang. I can’t wait to see what they do next. MV: How did exploring the relationship between Kyung and his parents in Shelter make you think about your relationship with your own parents? JY: Writing this book truly deepened my admiration for my parents, who were brave enough to leave their homeland and settle down somewhere so different from what they knew. Before my husband and I relocated from Massachusetts to Maryland, we debated the pros and cons of that move for a year. Can you imagine immigrating to the United States in the 1970s with very little money, a decent — but not fluent — command of the English language, and two little kids? Immigration, even under the best of circumstances, is a jarring act, and the origins of many of the tensions in Shelter can be traced back to the Cho family’s arrival in the states. I think the process of writing this book made me much more reflective about what my parents did for us and went through for us. I am always aware that our lives could have been very different. JY: I’m working on my second novel, which I know is such a predictable answer, but it’s also the most honest one. I’m in that early stage when it’s not worthwhile to talk about the premise because it’s still evolving, but I do feel comfortable saying that the book is set in the Midwest. Jung Yun was born in South Korea, grew up in North Dakota, and educated at Vassar College, the University of Pennsylvania, and University of Massachusetts at Amherst. Her work has appeared in Tin House (the “Emerging Voices” issue); The Best of Tin House: Stories, edited by Dorothy Allison; and The Massachusetts Review; and she is the recipient of two Artist Fellowships in fiction from the Massachusetts Cultural Council and an honorable mention for the Pushcart Prize. Currently, she lives in Baltimore with her husband and serves as an Assistant Professor of English at the George Washington University. Shelter is her first novel. Visit her at www.JungYun.info.